andLinux is a complete Ubuntu Linux system running seamlessly in Windows 2000 based systems (2000, XP, 2003, Vista [32-bit only]). This project was started for Dynamism for the GP2X community, but its userbase far exceeds its original design. andLinux is not just for development and runs almost all Linux applications without modification. andLinux provides XFCE and KDE desktop. => Visit official project to grab latest version. I’ve used VMWARE ESX / Xen paravirtualization, Virtuozzo, Solaris Containers, and FreeBSD Jails as os level virtualization. Virutalbox is another full virtualization solution. Presently, VirtualBox runs on Windows, Linux and Macintosh hosts and supports a large number of guest operating systems including but not limited to Windows (NT 4.0, 2000, XP, Server 2003, Vista), DOS/Windows 3.x, Linux (2.4 and 2.6), and OpenBSD. 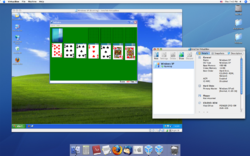 Rakesh has published a small article about VirtualBox Virtualization software. Both Windows and Linux can be run together simultaneously, and you don’t even need to switch between the two. With the seamless Windows feature of the latest version of VirtualBox virtualization software, you can seamlesssly run both Windows and Linux applications from the same desktop interface. This has been made possible by the combined efforts of VirtualBox and SeamlessRDP that is meant for seamless Windows support for rdesktop. If you use Linux on your desktop, and you also happen to have a BlackBerry handheld device, you’re probably aware that Research in Motion, the company that develops the BlackBerry platform, offers nothing in the way of support for its devices on Linux — but the intrepid geeks in the free software world do. 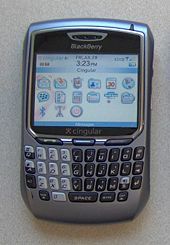 Thanks to to the efforts of the Barry and OpenSync projects, I just finished syncing my BlackBerry 8800 with my Evolution contacts on my Ubuntu 7.10 desktop.